Weightless 27. Painting by Henriette Hellstern (2015). Henriette Hellstern: Vægtløs (Weightless) – a new solo exhibition by lesbian painter Henriette Hellstern, December 19, 2015 to January 23, 2015 at the Main gallery, Galleri NB, Viborg Denmark. The gallery also present Helmet, an exhibition by Külli Suitso. The opening of both two new exhibitions takes place on Saturday 19th of December at 2-4pm. The artist will be present at the opening to tell you more about the exhibition at 2:15pm. The exhibition ‘Weightless’ focuses on the intensity of a fully lived split second, so present that the physical and mental coalesce and are almost abolished. Paintings of floating body parts, humans rising from the ground, dissolve or may be formed anew. A sincere description of the dream of ease and a painless state obtained through motion, energy and effort. 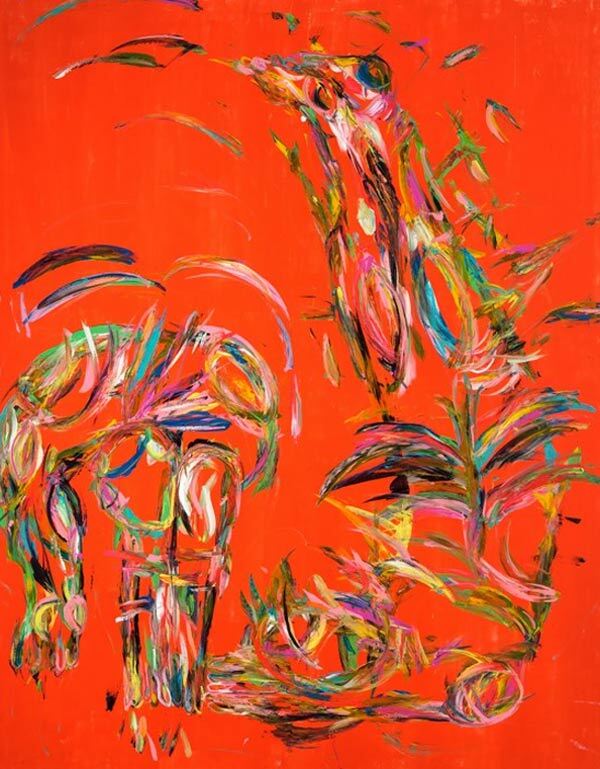 Go on a journey through expressive sensations told through explosive colour scheme, strokes and pace.